For all skin types. Especially beneficial for dry, dehydrated and aging skin. This ultra-lightweight water based serum containing hydrating hyaluronic acid and tropical hibiscus gives the skin a mega moisture boost. Layer under your moisturizer or oil serum to plump and firm the skin immediately. This serum has no scent. 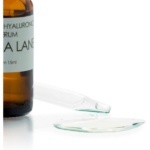 What is a sodium hyaluronate/hyaluronic acid (HA)? HA is a naturally occurring sugar found in the body, mainly the skin and joints. It is used to maintain water levels within tissues. As we age our ability to produce HA decreases and this affects the appearance and texture of our skin. Water is vital for nutrient transportation, cell communication, replication and healing. We do not absorb water into our skin effectively unless it is bound to a HA molecule. Applying HA to the skin enables us absorb water effectively giving smoother, plumper, healthier skin. This HA is produced by bacterial fermentation of beans and potatoes. What about Radish root ferment filtrate? This is the preservative. HA is fondly known as “bug food” so attracts bacteria. This is the simplest, kindest preservative we found. It is simply a peptide (group of amino acids) that is produced by the same bacteria as we use to make kimchi, when radish root is fermented. It is approved for use in certified organic formulations and has no adverse effects on the skin. I love this stuff! It makes all the difference in making my skin feel super hydrated. The first time I used this I could feel the difference in how plump my skin felt – after only one application! 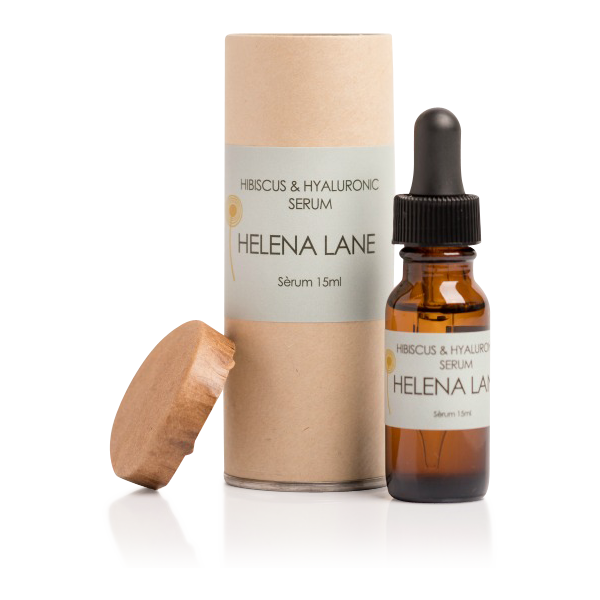 I am hooked – I use it on a clean face followed by a little of the regular oil serum. My skin feels soft and well hydrated – highly recommended. This feels so lovely and gentle on my skin . It absorbs well also. This is my most favourite product. My skin loves it. After putting this on, my skin feels hydrated and feels great. I just wish it came in a bigger bottle. 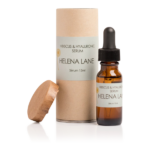 After cleansing, place a few drops of serum onto fingertips and press gently into face and neck. Layer under your moisturizer or oil based serum. Alternatively: After cleansing mix a few drops of this serum in the palm of your hand with moisturizer or oil based serum and apply gently to face and neck. This serum pairs beautifully with my Jasmine & Pomegranate Serum and Rose & Argan Moisturizer.